The Fur Harvester is published annually to promote a better understanding of Canada's founding industry. Articles within the magazine should not necessarily be viewed as official FHA policy. 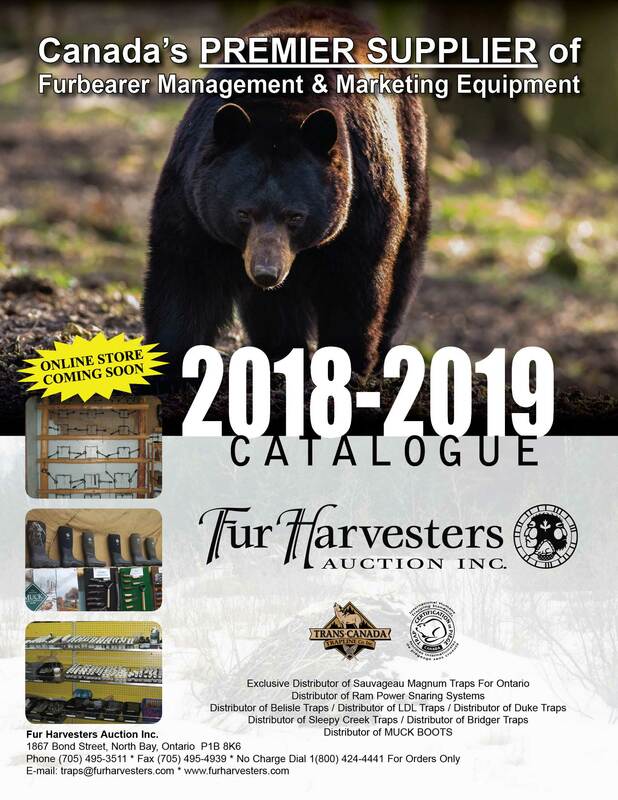 If you are not a shipper but would like to receive our magazine, please send us a cheque or money order in the amount of $10.00 and you will receive the next two issues of The Fur Harvester. Your fur harvesting outfitter service! Eastern Canada's premier supplier of Fur Bearer Management & Marketing equipment. Nokian Footwear now available. Exclusive distributor of BMI Traps for Eastern Canada. Exclusive distributor of Sauvageau Magnum Traps for Ontario. The information in this manual comes from many years of hard work by trappers from across North America. We also work closely with our world fur buyers to ensure that our wild furs are properly handled to benefit both the trapper and the buyer. When we achieve this balance, both the trapper and the buyer win.